I’m in love with this scarf! I can’t tell if it’s more calla lily or fishy, but it’s fantastic for this oppressive summer heat. This would really add a perfect accent to dress up a jeans-and-a-tshirt kind of look with a solid top. It has both written directions and a chart for whichever you prefer. 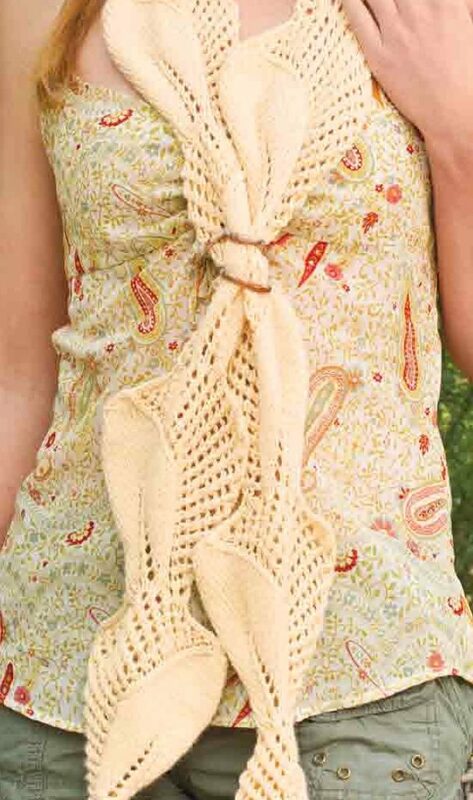 The intermediate-level scarf’s size is 6″ wide and 60″ long using light/DK yarn and size 5/3.75mm needles.